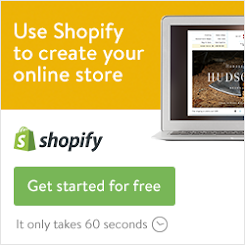 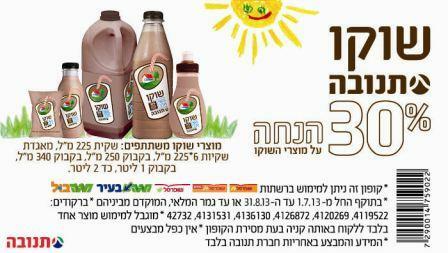 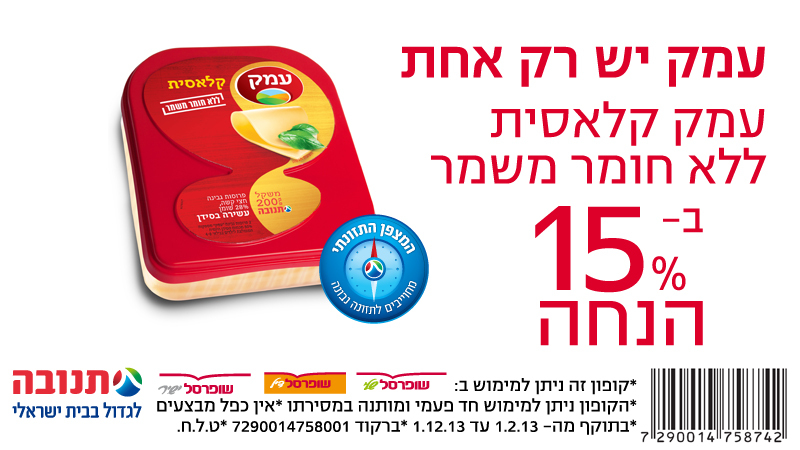 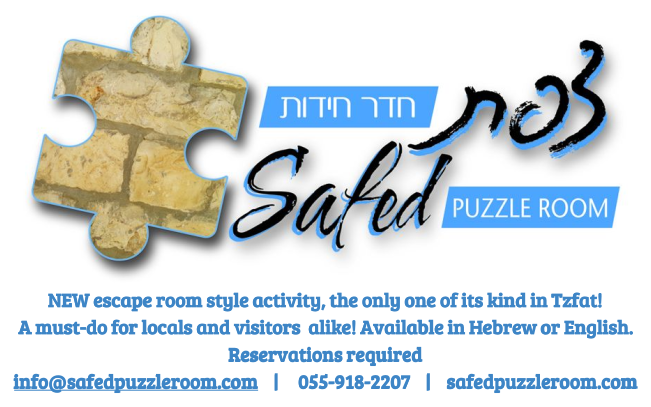 Tnuva regularly makes coupons available to the public both via their Facebook page and their website. 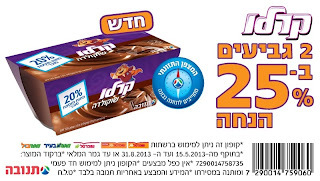 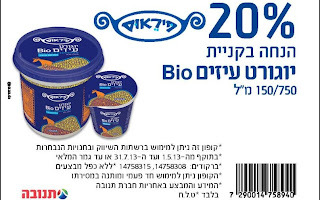 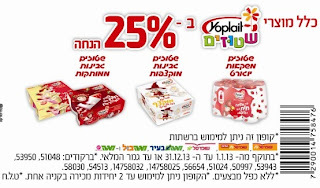 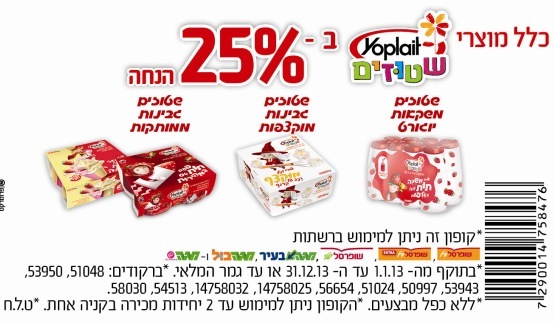 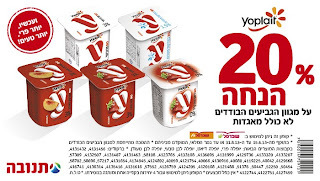 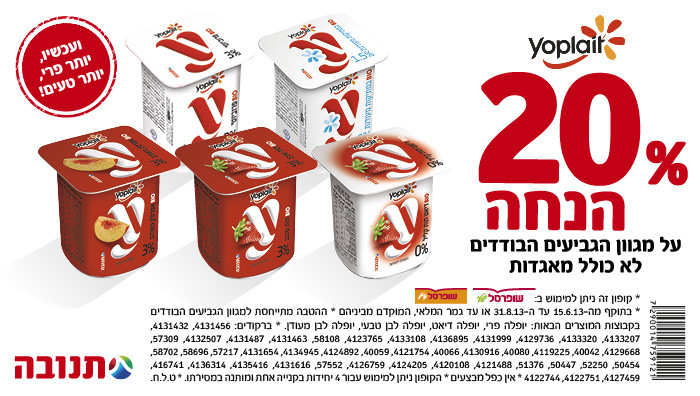 Right now, they have coupons for Emek cheese (good thru the end of the year), Chocolate milk (good thru the end of August), Yoplait yogurts (good thru the end of August), "Karlo" chocolate pudding (good thru the end of August), Pireus goat's milk yogurt (good thru the end of July), "Shtuzim" children's yogurt products (good thru the end of the year). So print 'em out before you buy these products!